Vals which is also known as values attitude and lifestyle is one of the primary ways to perform psychographic segmentation. All three terms are intangible in nature and therefore give an idea of the inert nature of the consumer. If you know what your consumer is thinking, you would know what kind of promotions or communications will attract him most. And how do you know what the consumer is thinking? By determining his vals – Values, attitudes and lifestyle. VALS is different for different people. Lets take income as an example. If you are a person with high income your lifestyle would probably include habits of the SEC A class such as dining out of home frequently and that too in top class restaurants, wearing only branded clothes and buying the best cars out there. Whereas if you are a middle class income group consumer, you would be more wary of spending money and would rather concentrate on savings. VALS is actually a proprietary term of SRI international. The term was developed by Social scientist and futurist Arnold mitchell. Arnold mitchell actually developed the vals framework to determine different classes of people who had varying values, attitudes and lifestyle. These people were determined by the resources they had at their disposal as well as the amount of primary innovation they could accept or create. Thus the people with low resources were low on innovation and the ones with higher resources were higher in innovation. This formed the basis of the VALS framework. As mentioned in the history of VALS, The VALS framework was developed keeping a consumers resources as well as his capacity to accept innovation in mind. The X axis consisted of primary motivation (explained below) and the Y axis consisted of resources such as income, education, confidence etc. Thus these two factors were determined to be critical to define the values attitude and lifestyle of any consumer. Resources – Included resources available to an individual such as income, education, intelligence, emotional support, etc. Primary motivation – Which determined what actually drives the individual. Is it knowledge, the desire to achieve something or is it to be social. After researching above 1500 consumers, Arnold mitchell actually divided consumers into 9 different types based on the amount of resources they had as well as their capacity for primary motivation. These classes of consumers based on their VALS were. Innovators – The class of consumer at the top of the vals framework. They are characterized by High income and high resource individuals for whom independence is very important. They have their own individual taste in things and are motivated in achieving the finer things in life. Thinkers – A well educated professional is an excellent example of Thinkers in the vals framework. These are the people who have high resources and are motivated by their knowledge. These are the rational decision making consumers and are well informed about their surroundings. These consumers are likely to accept any social change because of their knowledge level. Believers – The subtle difference between thinkers and believers is that thinkers make their own decisions whereas believers are more social in nature and hence also believe other consumers. They are characterized by lower resources and are less likely to accept innovation on their own. They are the best class of word of mouth consumers. Achievers – The achievers are mainly motivated by – guess what – Achievements. These individuals want to excel at their job as well in their family. Thus they are more likely to purchase a brand which has shown its success over time. The achievers are said to be high resource consumers but at the same time, if any brand is rising, they are more likely to adopt that brand faster. Strivers – Low resource consumer group which wants to reach some achievement are known as strivers. These customers do not have the resources to be an achiever. 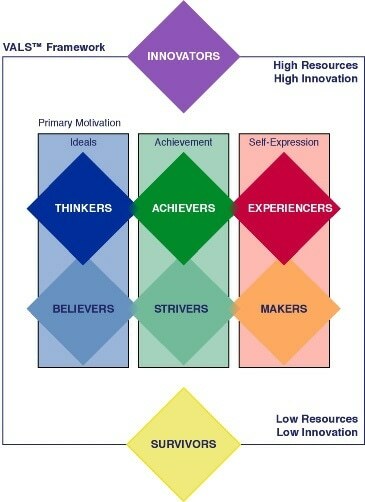 But as they have values similar to an achiever, they fall under the striver category. If a striver can gain the necessary resources such as a high income or social status then he can move on to becoming an achiever. Experiencers – The group of consumers who have high resources but also need a mode of self expression are known as Experiencers. Mostly characterized by young adults, it consists of people who want to experience being different. This class of consumers is filled up with early adopters who spend heavily on food, clothing and other youthful products and services. Makers – These are consumers who also want self expression but they are limited by the number of resources they have. Thus they would be more focused towards building a better family rather than going out and actually spending higher amount of money. Making themselves into better individuals and families becomes a form of self expression for the Makers. Survivors – The class of consumers in the Vals framework with the least resources and therefore the least likely to adopt any innovation. As they are not likely to change their course of action regularly, they form into brand loyal customers. 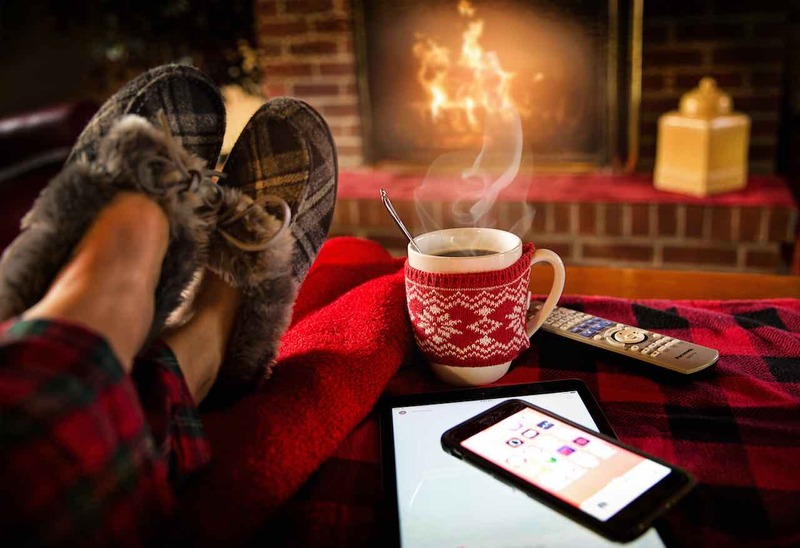 An example can include old age pension earners living alone for whom the basic necessities are important and they are least likely to concentrate on anything else. Thus the vals framework can be used primarily to classify consumers based on their values, attitudes and lifestyle. Once the classification has been done, you know which types of customers you want to target. Depending on your target customers vals, you can make up your marketing strategy and your promotional message such that it hits your audience at the right spot. 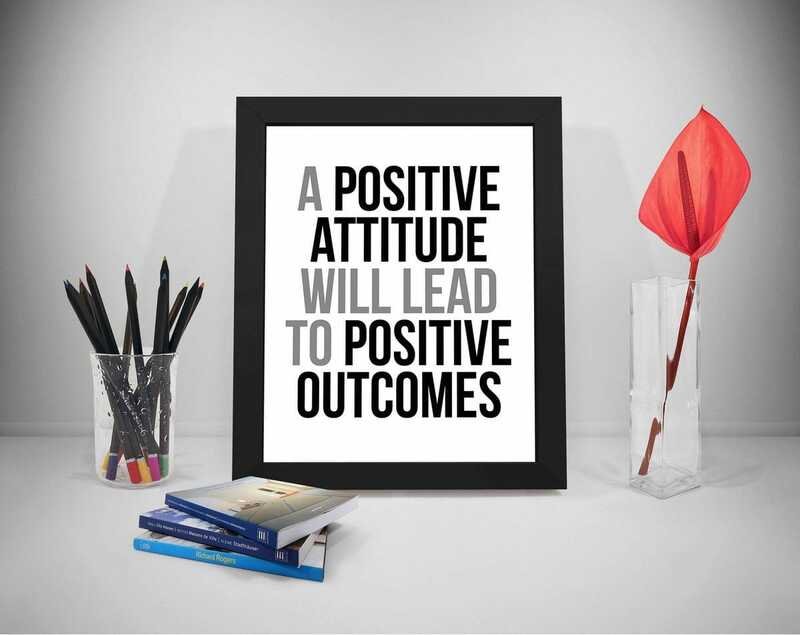 How to have a Positive attitude at work? What is Place Strategy & How to Decide on a Place Strategy?